We visited Nellis AFB in occasion of the famous combat training exercise that involved a huge number of aircraft. Nellis Air Force Base, located in Nevada, few kilometers far from Las Vegas, is one of the largest fighter bases in the world. Aircraft from Nellis operate on the Nevada Test and Training Range (NTTR), which offers more than 15,000 square miles of airspace and 4,700 square miles of restricted land. More than 75 percent of all live munitions used by the U.S. Air Force for training are dropped on the Nevada Test and Training Range. These peculiarities make Nellis the right place to host the U.S. Air Force's premier air-to-air combat training exercise named Red Flag. The purpose of the exercise is to train pilots and other flight crew members from the U.S., NATO and other allied countries for real air combat situations. This includes the use of "enemy" hardware and live ammunition for bombing exercises in the Test and Training Range. 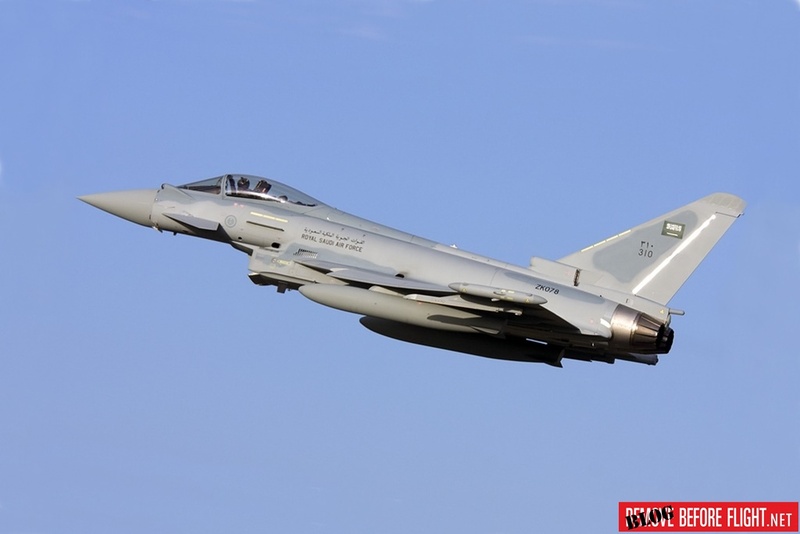 The exercise provides aircrews the experience of multiple, intensive air combat sorties in the safety of a training environment. The 414th Combat Training Squadron is responsible for executing Red Flag. The exercise is one of a series of advanced training programs administered at Nellis AFB and on the NTTR by organizations assigned to the U.S. AirForce Warfare Center. Usually it is conducted in four to six cycles a year. Four training sessions were planned during the current year, we took part in the last one, Red Flag 17-4, scheduled from August 14 to 25. During our visit the flying activity was impressive, up to 30 aircraft could take off from the two runways in 10 minutes. 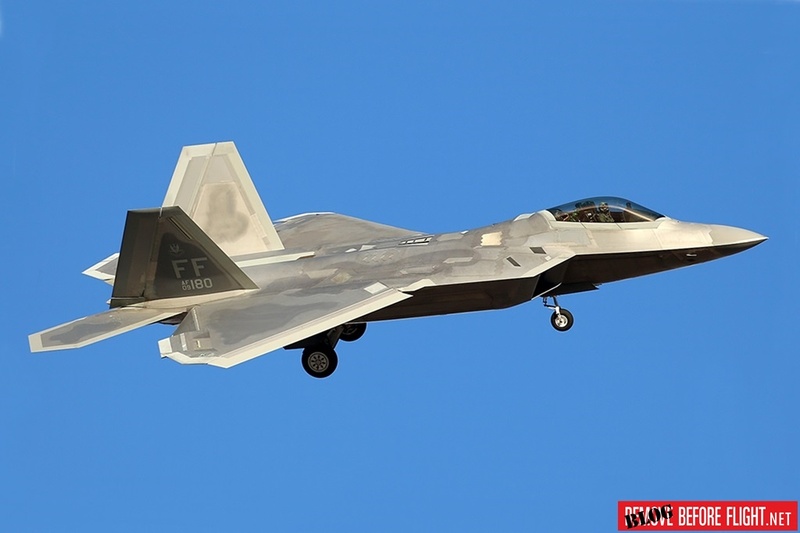 In addition to aircraft deployed for the occasion at Nellis, many other home-based fighter jets took to the sky. 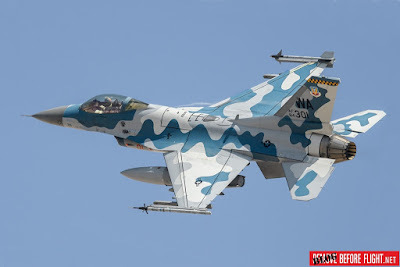 We were impressed by the F-16Cs belonging to the 64th Aggressor Squadron for their camouflage color scheme similar to that of Russian fighters, something different than the standard gray colors used in the operational US combat aircraft. 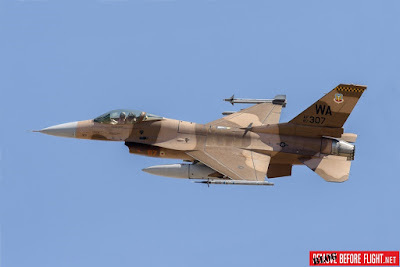 The 64th Aggressor Squadron is the only one remaining in Nellis to get the part of the enemy during the air combat trainings after the inactivation of the 65th Aggressors Squadron in September 2015. 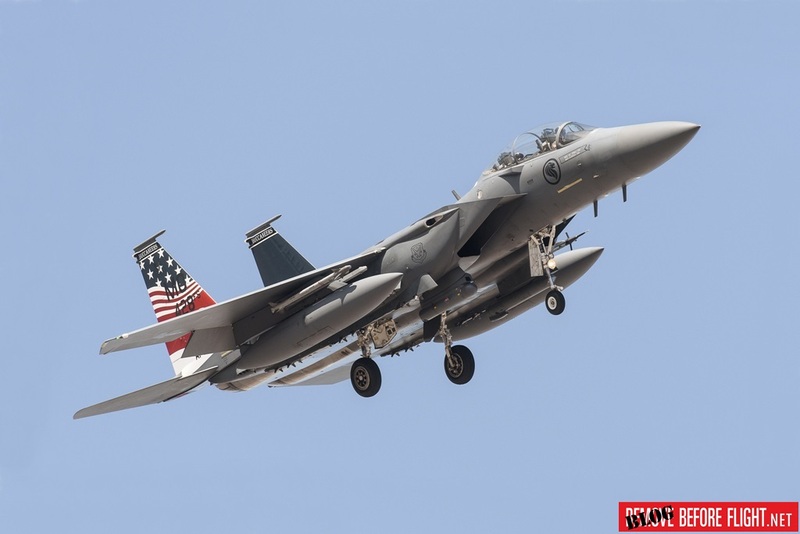 This restriction has limited the 57th Wing's capability due to the few remaining aircraft. In order to fill the operational deficit the 99th Contracting Squadron signed an agreement with Draken International to provide an interim solution for the aggressor role. 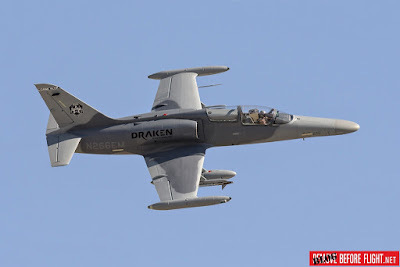 Draken International is based in Lakeland, Florida and has a fleet of over 70 tactical aircraft. 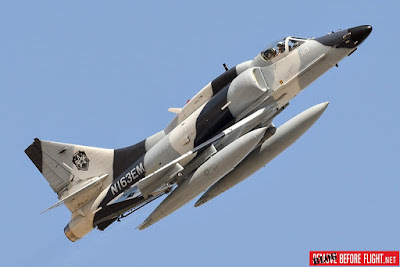 The company owns and operates the world's largest commercial fleet of ex-military aircraft equipped with fourth-generation technology and is flown by former and current military-trained fighter pilots. Thanks to this agreement some A-4 Skyhawks, L-39 Albatros and L-159E Alcas are currently based at Nellis AFB. During our visit in addition to the "Red Air" fighters, we observed numerous aircraft including Saudi Eurofighters, Singapore F-16Cs and F-15SGs, USAF F-22A Raptors, F-35As and F-16Cs, NATO E-3A Awacs and Marines F/A-18As. 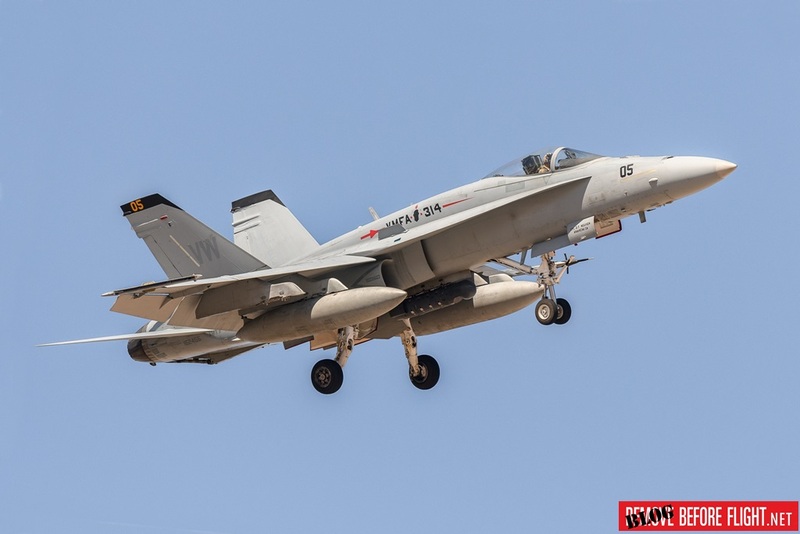 U.S. and Allied forces send their pilots to Nellis to receive air combat training in one of the best Weapons School in the world, comparable to the U.S. Navy Fighter Weapons School, better known as Top Gun.